SPOILER ALERT!! Go no further, lest ye be spoiled. 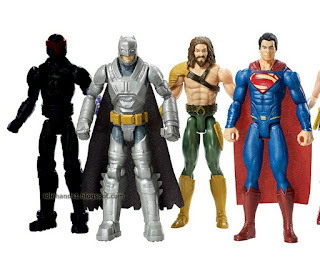 Some time back, Idle Hands showed off the first images of Batman vs Superman product hitting stores from Mattel. 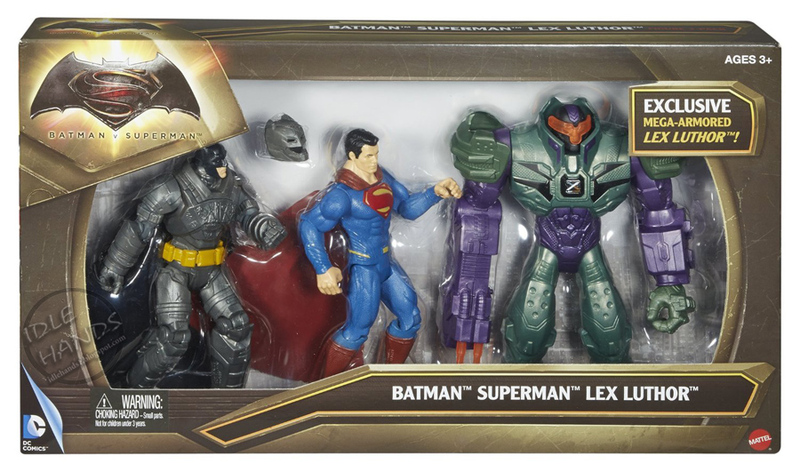 Among the items was a 3 figure pack featuring an Armored Batman, Superman and a Mech Suit wearing Lex Luthor. 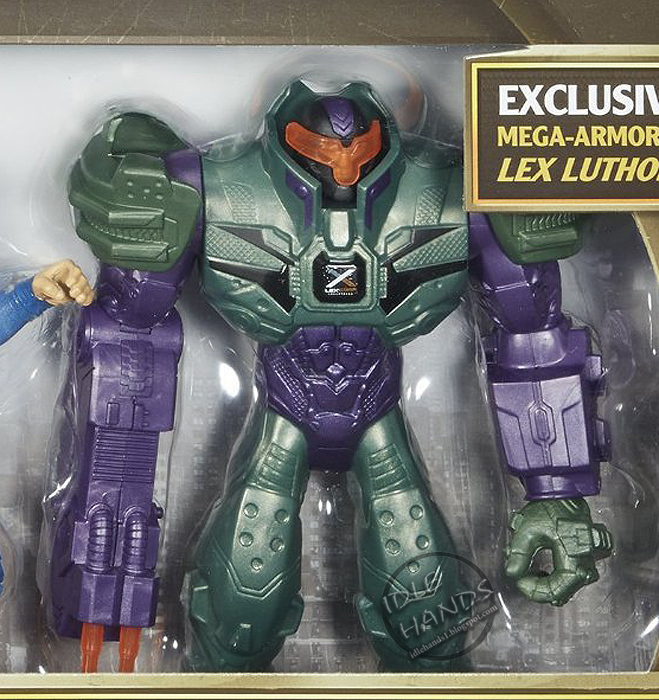 Now, it can always be argued that a flashy robot in a toy set could be "inspired by" the film, made after comic designs or just plain made up, but there was evidence to lead us to believe Lex Luthor would indeed suit up for a fight. Clue #1: This is a very specific set. 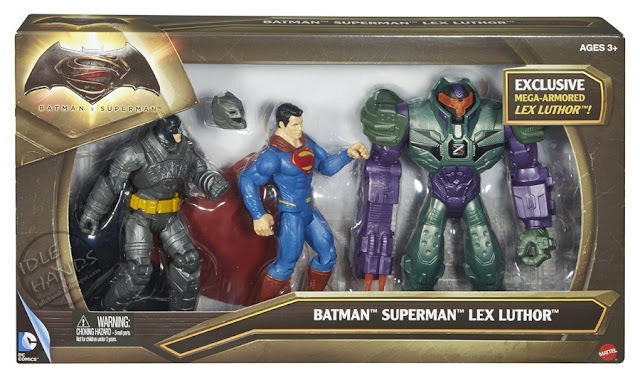 We know that Batman dons his battle armor for a pivotal confrontation with Superman, so to throw in Lex Luthor serves no purpose. 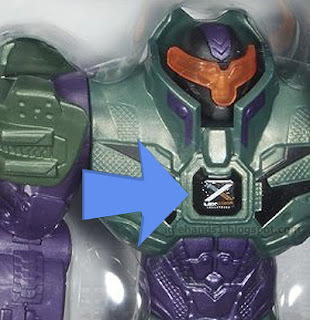 Clue #2: Zooming in on the Lex Armor, we see a Lexcorp logo on the chest. If you are going to just make up a robot, why bother putting such exact detail on there? Let's face it, if Lex Luthor goes out to attempt to kill Superman, he's going to be damn sure his company logo is front and center so there's no doubt who is behind the power. Clue#3: Upon further examination, it looks like Lex is actually IN the suit. 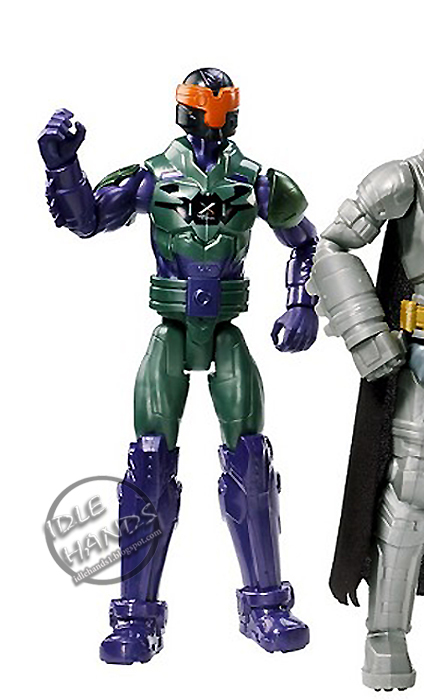 Again, if you are just going to make up a Lex-Bot for a toy set, you paint the visor. No need to show anyone in side the suit, much less spend money on a head sculpt inside a helmet. After all this evidence had been mulled over, we felt confident Lex Luthor would indeed get his hands dirty at some point in the film, but others were still unsure....probably until now! Target is becoming known for creating store exclusive multi figure box sets containing all the main characters from big blockbuster films aimed at kids and geeks alike. Remember the infamous #WheresRey Star Wars set? Case in point, albeit a sore one. Now Target cranks out a 12 inch 6 figure pack including Aquaman, Wonder Woman, Batman, Superman Armored Batman and ....MECH SUIT LEX! 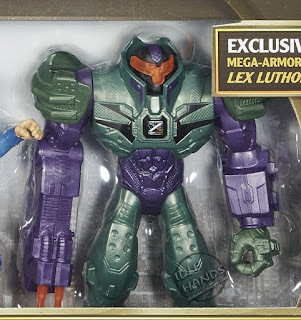 You'll note this Mech Lex is a little less bulky, but this is the inexpensive 12 inch line of figures, so assume this is because they wanted to reuse parts...or maybe he gets into a suit before he gets into THE SUIT. 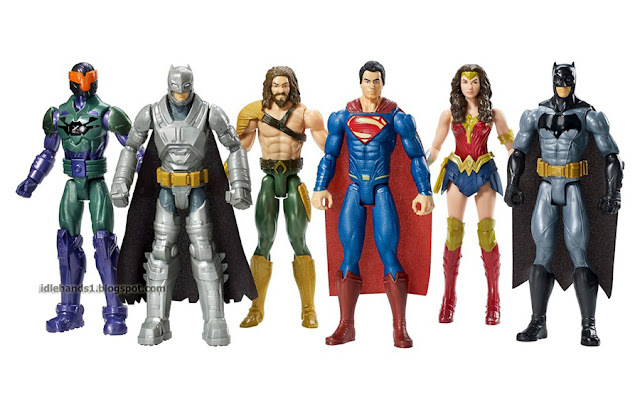 The 3 pack design seems more likely for his battle appearance. Still..same visor and color scheme. And on the chest...the Lexcorp logo. Which-ever the design, this one is a 98% lock at this point. Look for Lex Luthor to suit up for battle March 25th! Me and the little one saw this the other day. Honestly, I almost considering grabbing it for her since she loves the DC cast but we ended up holding out for some Star Wars Galactic Heroes, or whatever Hasbro's brand of Imaginext stuff is called.